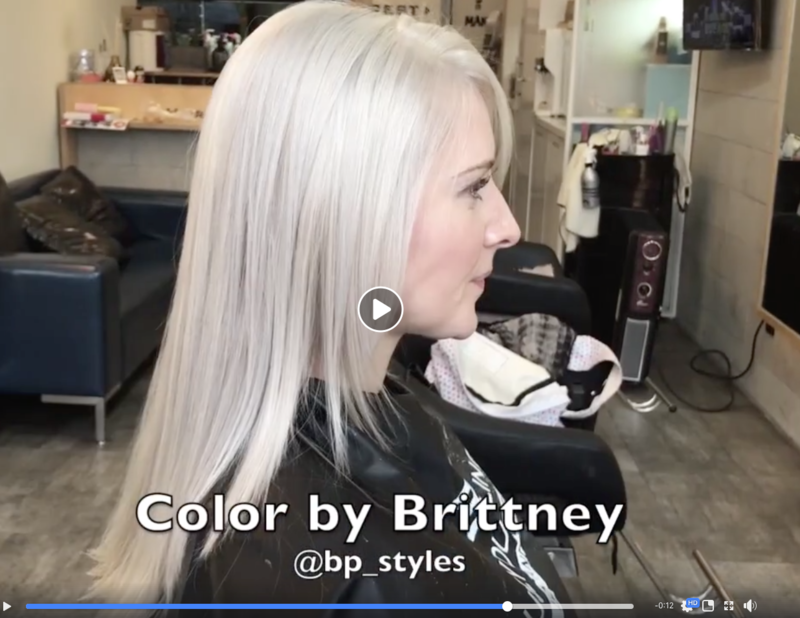 Follow These 3 Steps For Successful Blonding! Mix 1 part Brilliant Blonde Lightener with 2 parts Developer. Section hair evenly and finely and apply the mix, starting from the back and working your way around the whole head. Aim to work fast and really saturate the hair with the lightener mix. Be aware that hair nearer the root will process faster due to the heat from the scalp. As a result, it is generally better to apply on the lengths first, then return to the root area afterwards. Keep checking the hair as it is lifting. If certain parts are drying out or not lifting enough you can always make a fresh mix and re-apply. 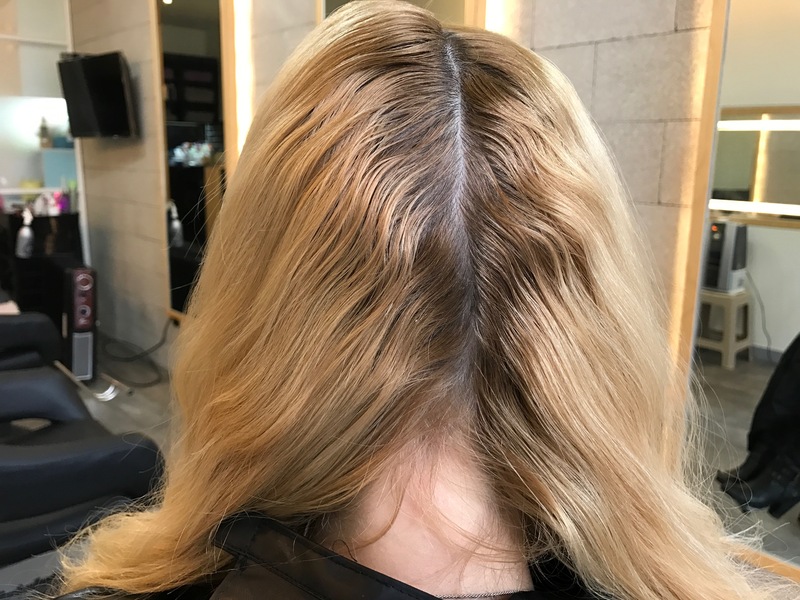 Do not leave lightener mix on the hair more than 30 minutes. If you have very dark hair and you have not attained sufficient lift after 30 minutes, you will need to rinse and make a second application. Try and make sure you get the entire head to a consistent level 10. 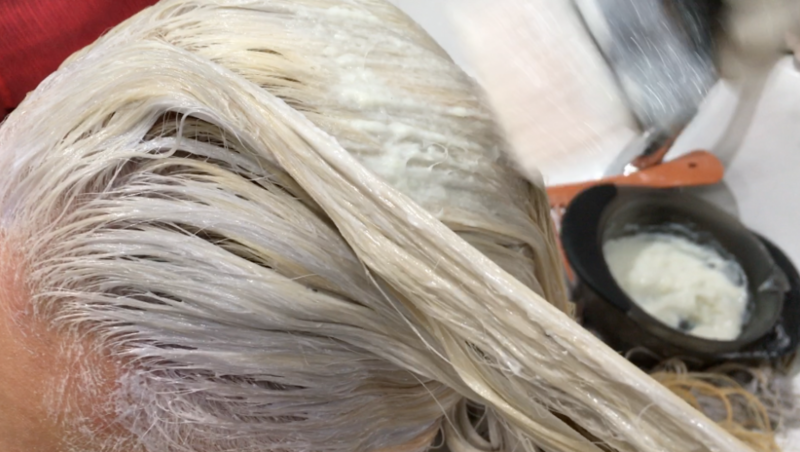 Then rinse with water using the purple shampoo to start killing some of the remaining yellow. Now choose your toner: 3 of our top-selling toners are provided in the set. Apply with the 20 Vol developer. Recommended mix for the toner is 1 part toner to 2 parts developer. As usual, apply on the root area last. This part will lift faster due to the heat of the scalp. As the toner starts processing, you will see grey pigments appearing (see below). This is normal. 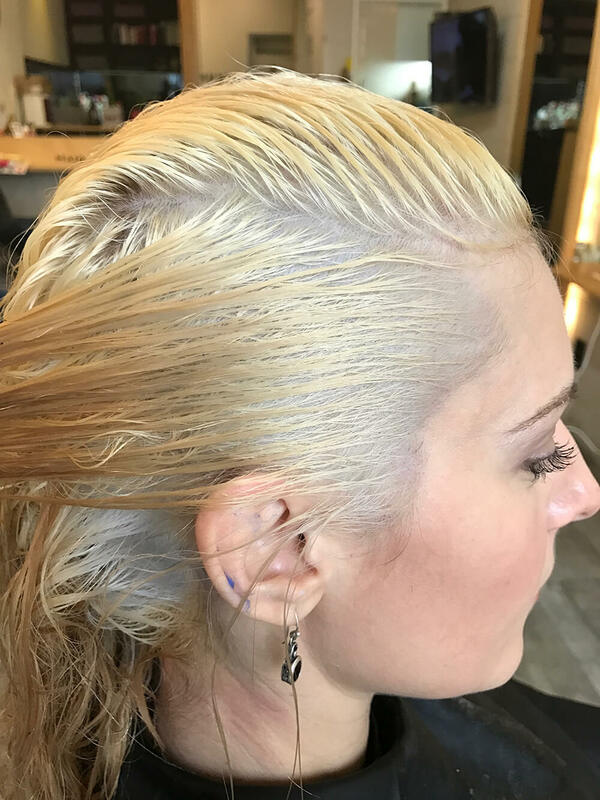 Process for around 10-15 minutes or until you have achieved the white blonde result you are looking for. 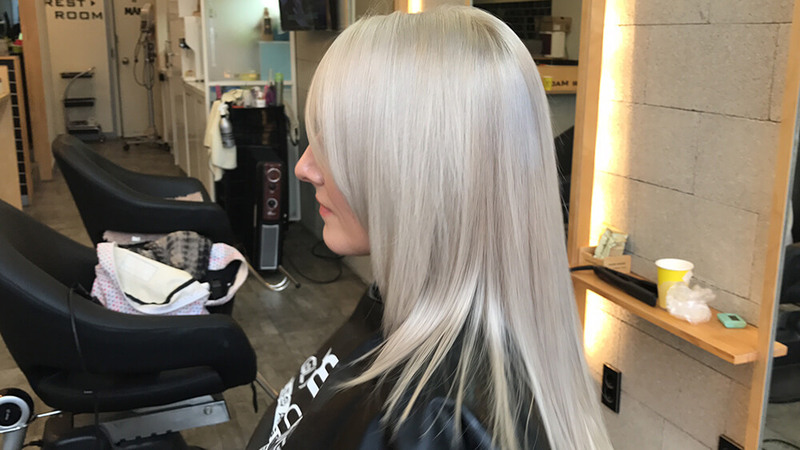 Use Purple Shampoo to finish and maintain your ultra white blonde look. 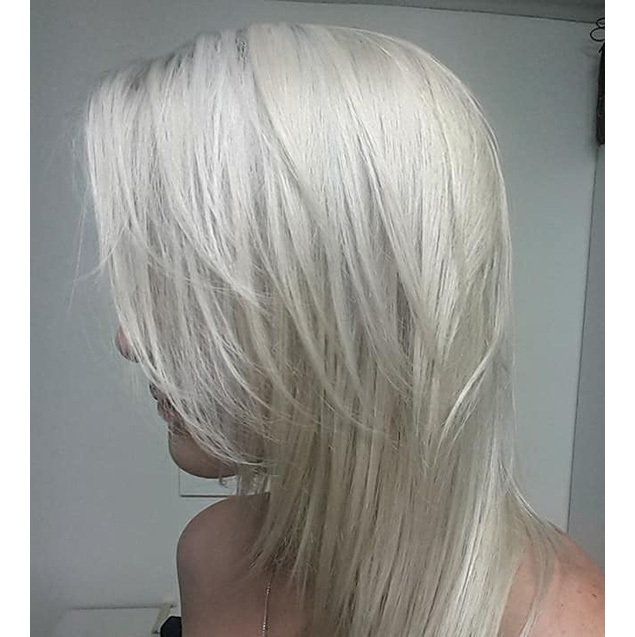 GET YOUR HAIR TO ULTRA WHITE BLONDE - No Brassiness, Just White! 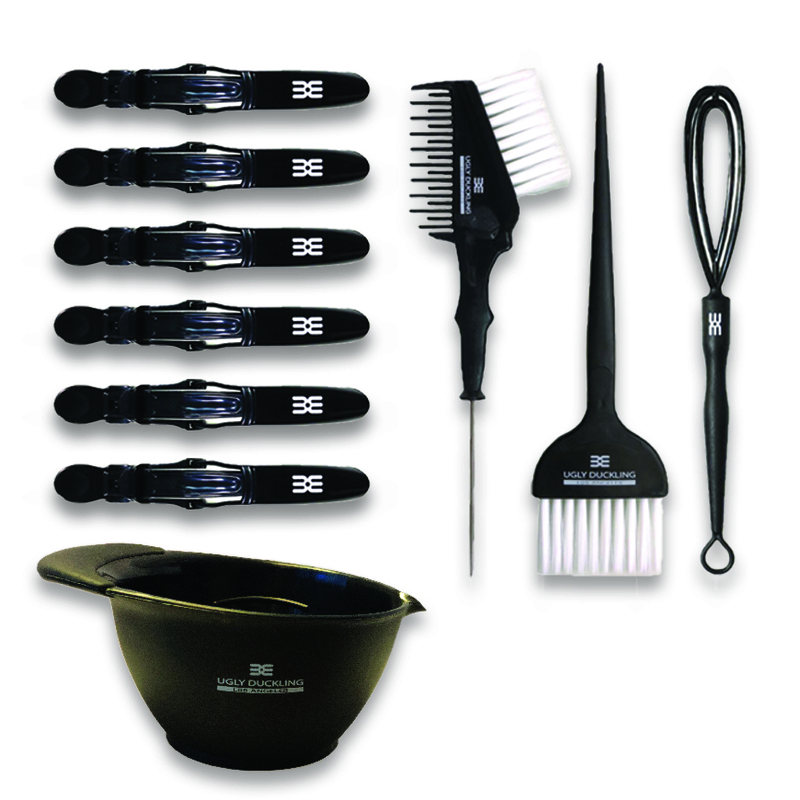 Set contains Enough Product to Enable at Least 3 Full Head Applications and More. Quantity of Sets Limited -  offer only available while stocks last and not available elsewhere. 1 SALON SIZE BRILLIANT BLONDE LIGHTENER - Lifts 8 Levels in 1 sitting. 3 UGLY DUCKLING TONERS - From Yellow to White Blonde Every Time. 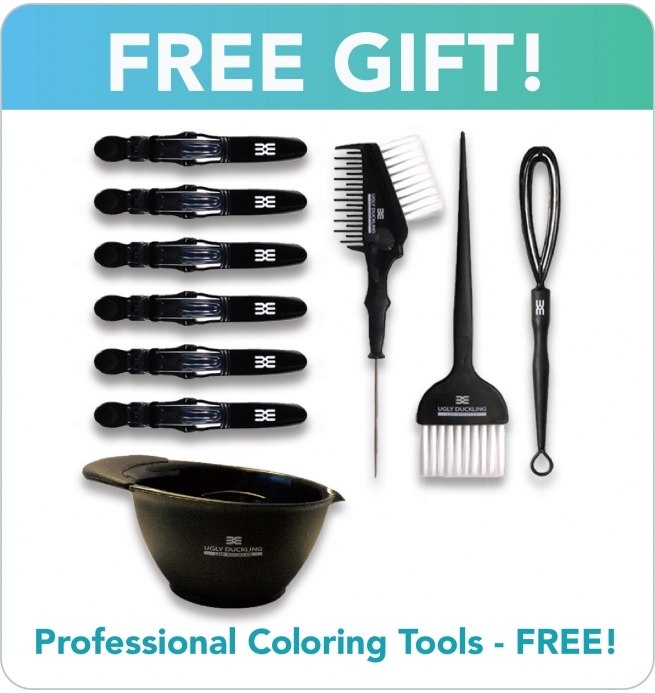 [meta_description] => Contains Everything You Need to Start Blonding + FREE Salon Tools. Get FREE shipping. Click here to see the exclusive deals. Quantity of Sets Limited - offer only available while stocks last and not available elsewhere. 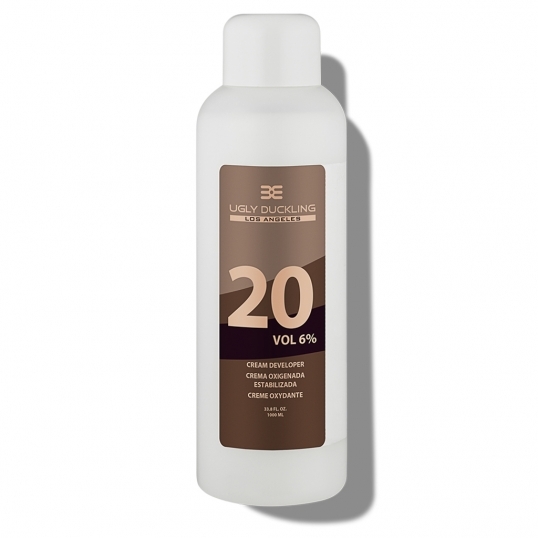 Mix 1 part Brilliant Blonde Lightener with 2 parts Developer. Aim to work fast and really saturate the hair with the lightener mix. Be aware that hair nearer the root will process faster due to the heat from the scalp. As a result, it is generally better to apply on the lengths first, then return to the root area afterwards.